Krewe of Centaur info. Krewe of Barkus and Meoux. Krewe of Gemini website. And our favorite is the Krewe of Highland. 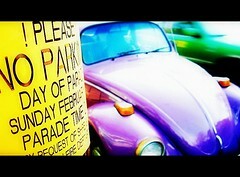 That parade is set for Sunday February 22, 2009. Hi Kathryn, do you know where on the web I can find a map of the Highland Krewe parade route?